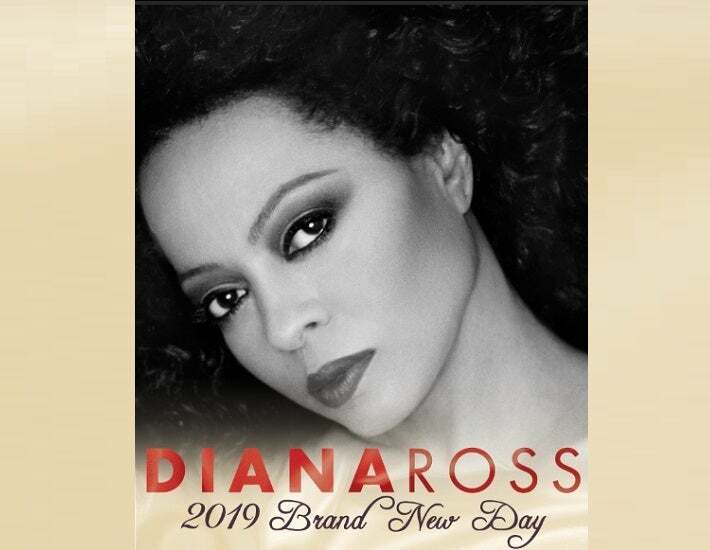 Diana Ross returns to Barbara B. Mann Performing Arts Hall at FSW on Tuesday, January 8 at 8:00PM* with a new tour 2019 Brand New Day. Tickets will go on sale Friday, November 16 at 10AM at the Box Office, online at www.bbmannpah.com or call 239-481-4849. Diana Ross defines icon. A remarkable career spanning over 50 years, Ms Ross is an international treasure. She is considered the most successful recording artist and entertainer of all time. President Obama said “she exudes glamour & grace, her influence is inescapable” as he presented her with a Medal of Freedom Award, the most prestigious award given to a U.S. citizen. Ross’ international achievements were acknowledged by the prestigious Kennedy Center Honors in Washington DC (2007). The honor celebrated her lustrous career of excellence in music, film, television and theatre, as well as her cultural influences, humanitarian work and her contributions to American culture. The National Academy of Recording Arts & Sciences celebrated her remarkable career with its highest honor, The Grammy Lifetime Achievement Award in 2012. Her portrayal of Billie Holliday in the classic film, “Lady Sings the Blues” resulted in an Oscar nomination and a trophy at the The Golden Globe Awards. Co-starring as an aspiring designer in the 1975 romantic comedy, Mahogany, Ross felt the role lent the perfect opportunity to personally sketch and design all the fashion in the timeless film. As a stage actress, she won Broadway’s top honor with a Tony Award for her one-woman show, “An Evening with Diana Ross.” The same show was later broadcast as a special on television. From her landmark solo career to the early days as the leader of The Supremes Diana Ross shaped the sound of popular music, changing the landscape and paving way to contemporary music. Her voice, described as “honey with soulful sensibility,” produced 14 Top ten albums, 18 #1 songs and music sales exceeding 100 million units around the world. In 2017, the American Music Awards presented Ms Ross with the Lifetime Achievement Award. In1993, she earned a Guinness World Record for her success in the United States and United Kingdom by having more hits than any other female artist on the charts with a career total of 70 hit singles. Career milestones include induction into the Rock & Roll Hall of Fame, The Songwriters Hall of Fame, National Academy of Recording Arts & Sciences Hero Award, NAACP Entertainer Award, Billboard’s Female Entertainer of the Century Award, The Soul Train Legend Award, two stars on the Hollywood Walk of Fame and will received the American Music Awards Lifetime Achievement Award in November 2017. And Ross is also one of the few celebrities to have two stars on the Hollywood Walk of Fame.